Our service range includes a wide range of 3d printing services and 3d printing (rpt). We provide wide range of services in 3D Printing. ADDSUD Technology combines additive and subtractive manufacturing together in a single platform with one supplier saves time and streamlines communication to optimize your build. With STPL's DMLS 3D printing service, you can get extremely complex metal parts manufactured which are impossible to do so using conventional methods. 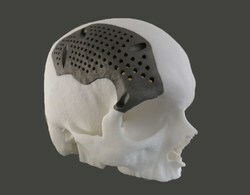 DMLS 3D printing is now within your reach. No longer is it inaccessible for you. Any type of 3D image. We can print it. Research, Fabrication, School, College, Robotic project. 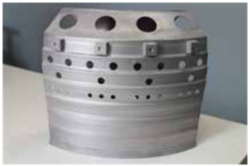 Vasantha, keeping in pace with the latest technological advancements in the field of mould making, has inducted leading cutting-edge 3D printing technology into its manufacturing line in the year 2014 for creating the conformal cooling channels in metal inserts.